The ReStore sells new and gently used furniture, appliances, lighting, cabinets, vanities, and other household-related items. The proceeds are used to build Habitat homes in the Greater New Haven area. 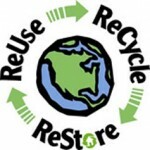 The ReStore provides an environmentally and socially responsible way to keep good, reusable articles out of the waste stream while providing funding for Habitat’s community improvement work. » Please read our donation policy for a list of what the ReStore accepts. Donors receive a receipt at the time of donation that may be useful for tax purposes. Drop off donations at the store during business hours. Items that can be transported by the donor may be delivered directly to the ReStore. Please call (203) 800-5517 to arrange a time to drop off items. Saturday 10:00 a.m. – 6:00 p.m. Sunday 10:00 a.m.- 4:00 p.m. Arrange a donation pick up. (203) 800-5517 or email Restore@habitatgnh.org. Please include photos if possible and a description of the item(s). We pick up in all towns in New Haven County plus the towns of Killingworth and Clinton. Click here for a complete list.